Most people visiting the gardens at Queen Elizabeth Park head for the main quarry garden just beneath the Bloedel Conservatory. To the north, under the Seasons in the Park Restaurant is the North Quarry Gardens. This area has a lot of nice Magnolia and Rhododendron flowers, as well as more trails and routes through the park. Something to check out next time you are Queen Elizabeth Park! For more photographs of Gardens, including Queen Elizabeth Park, visit my Garden Plants Gallery. This is great Michael. I love QE Park. Its one of the prettiest places in Vancouver in my opinion. Thank you Richard! 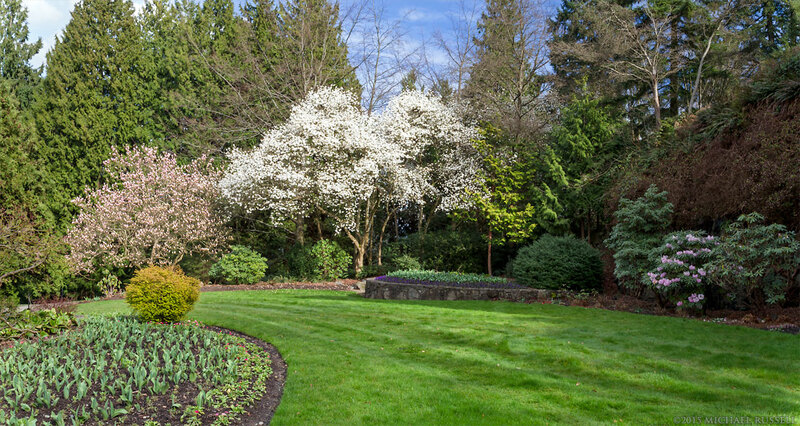 If I recall the last time you were up here you visited the UBC Botantical Gardens – have you ever checked out the VanDusen Botanical Gardens?